JBW’s New Site! Archives Live Now! 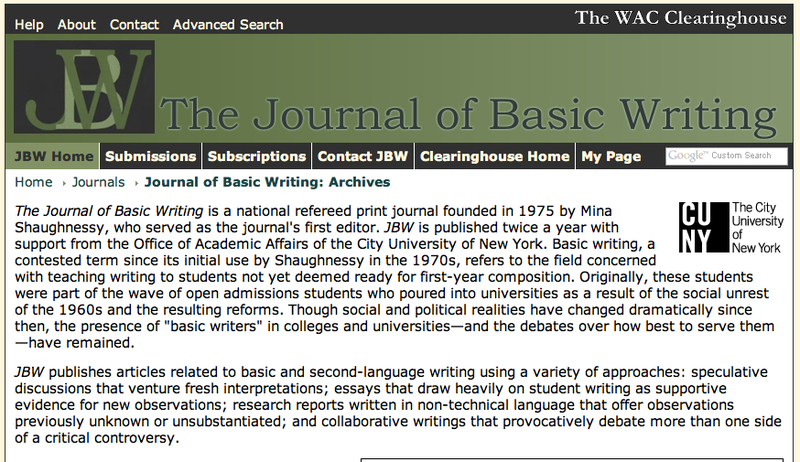 Today at CBW, Rebecca Mlynarczyk and Hope Parisi, co-editors of the Journal of Basic Writing (JBW) unveiled a new web location at the WAC CLEARINGHOUSE featuring open access archives to past issues of JBW. This work will be on-going. Right now, you can access some of the original issues with Mina P. Shaughnessy’s founding work.